The female Aggressive House Spider is about 3/16 to 5/16 of an inch long while the males measures quite smaller at 1/8 to 3/16 inch long with a narrower abdomen. They are a yellowish-brown with stripes on its back. They prefer higher humidity like garages or sheds and commonly nest in clutter in storage. Black widow measures 1/2 inch long with shiny black body and a red hourglass shape on its underside. They are not aggressive and will not bite unless provoked. Death has been attributed to the bite of black widow spiders as a result of anaphylactic reactions; however, in most cases, the bite is not fatal. They will build their webs in dry protected locations where their prey is likely to travel by. They can be found in wood piles, under decks, beneath picnic tables, crawlspaces and garages. 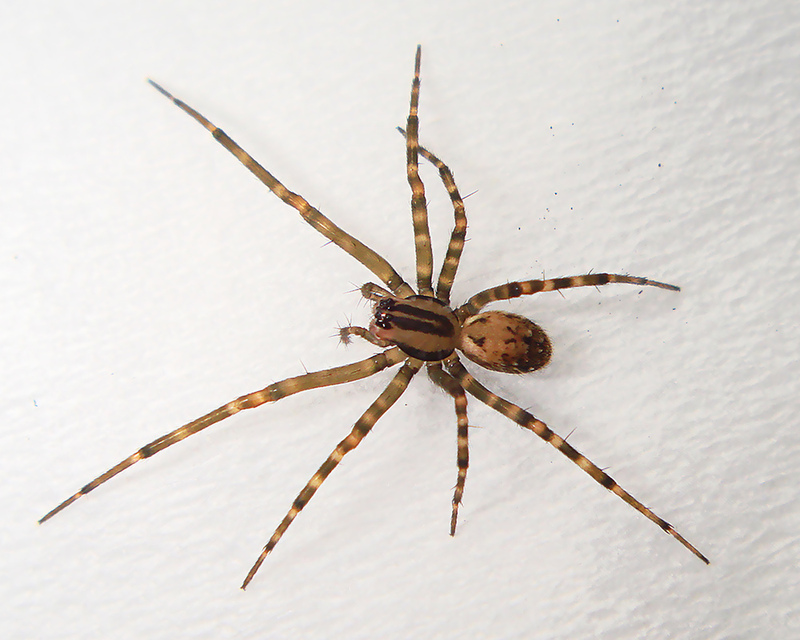 Brown recluse measure 5/8 to 1/2 inch long and are yellowish-brown with a violin shaped dorsal marking. They will only bite when disturbed and can cause a disfiguring scar. These spiders are not known to exist in California. Bees measure up to 5/8 of an inch and are covered in a dense golden brown and black hair with a striped abdomen. Honeybees are not naturally Crescent; however, if the colony is threatened, they will sting. These bees are found nesting in hollow trees, wall voids, and in attics. Honeybees can cause serious damage to homes with the sticky residue of their honey and the foul odor of the decomposing honey and nesting materials. Scorpions range from 1 1/2 to 3 inches in length with a pair of large pinches and a stinger on its tail. They have very poor eyesight and use their pitchers as feelers. Most Scorpions in our area inflict stings that are no more harmful than from a bee. They enter structure seeking water and shelter and can be found in bathrooms, crawlspaces, and in clothes or shoes left on the floor. Wasps are very protective of their nests and can defend with painful stings. Yellowjackets usually build their nest below ground. Baldfaced hornets preferred to build their nests in trees and on the sides of buildings. Paper wasp build flat open nest which are usually found on the underside of eaves. Although solitary wasps have stingers, they usually are not aggressive, stinging only when disturbed. Mud Daubers are the most noticeable because they construct nest on the side of homes and on the underside of eaves using mud mixed with other material.